In addition to the Father’s Day Steam Up, the opportunity was taken to run a photo charter, organised by 30742 Charters and featuring ‘Teddy’ and ‘Kilmersdon’ in action, as well as ‘Henbury’ on static display. Will Stratford was there to capture the occasion in these great photos. Steam trains will be in operation this coming Saturday, Sunday and Bank Holiday Monday. Kilmersdon will be doing the honours, seen here looking very smart. Note: I do apologise for previously publishing inaccurate information regarding operating days this year, this was a mistake which has now been corrected by linking through to the official M Shed page. Please note that this is an unofficial blog site maintained by a volunteer, and that the best place for information on opening times and events is the M Shed website. Don’t forget this weekend is Docks Heritage Weekend at M Shed! 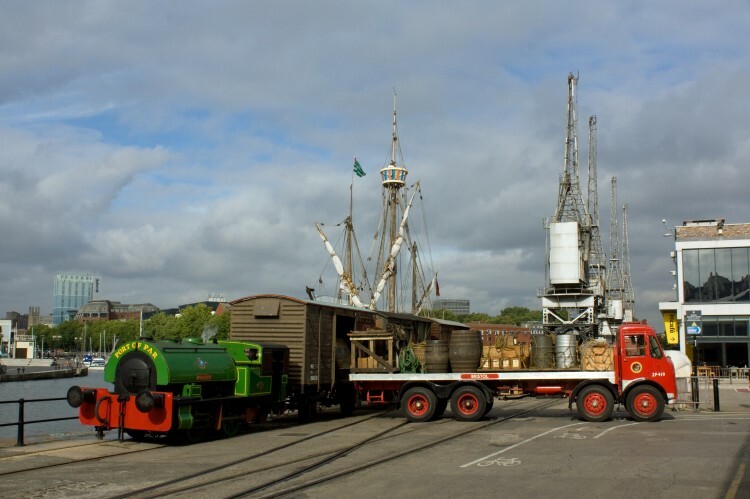 Featuring vintage commercial vehicles on display (Including the museum’s own Bristol 8-wheel lorry), both steam and electric cranes in use unloading cargo from ship to shore, and the rare sight of the working electric capstans being used to shunt wagons on the quayside. See the quayside come to life with dramatic re-enactments by Show of Strength theatre company. Plus, see the amazing city of Briswool in all its woolly splendour. 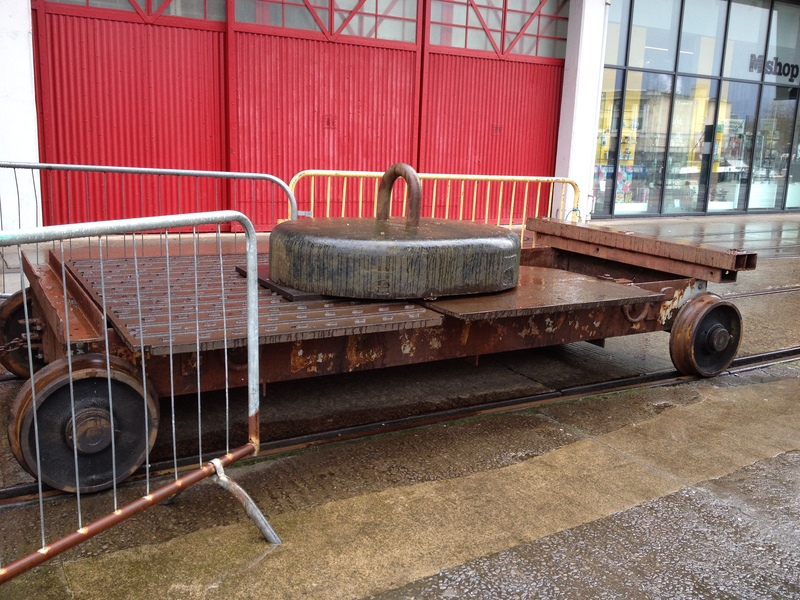 The newly-outshopped MOGO van will also be on display, and the Tug John King will be giving rides around the harbour. Lots to see and do, it should be a cracking weekend! A few snaps from the weekend’s operations. Really nice to have all three steam exhibits in operation. 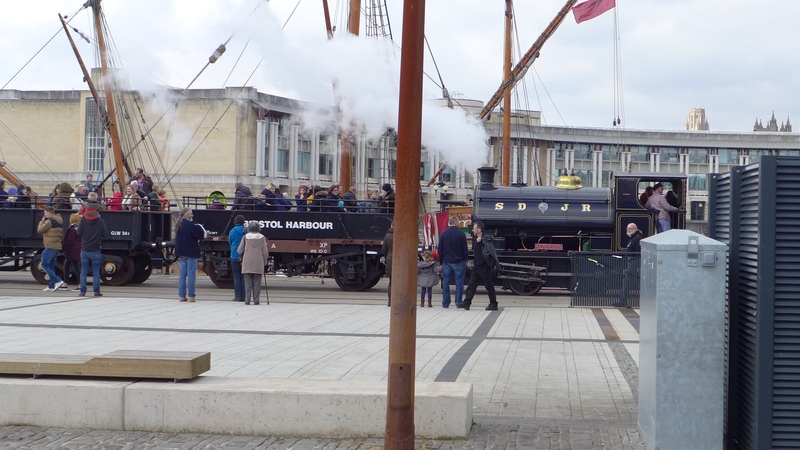 Lots of happy, friendly passengers, the sun shone, and steam was in the air.